4:20 PM. Cotton Picker On Fire :: RickeyStokesNews.com! KINSEY: 4:20 PM. Houston County Sheriff 911 dispatched Kinsey Fire to 1676 Board Street in Kinsey to a Cotton Picker on fire. 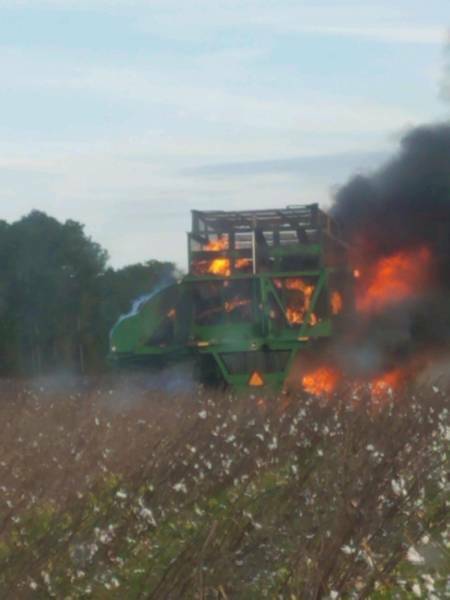 The John Deere Cotton Picker was in the field and not on the roadway when it caught fire.